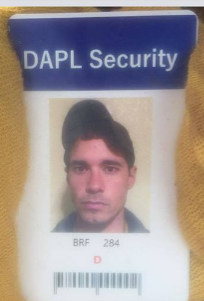 Today at Standing Rock during the 1851 Treaty Camp standoff, a hired DAPL security guard was spotted in the crowd with an automatic rifle in his vehicle. When he was spotted, he began to head towards camp. Water protectors made an effort to stop him on the road, in which he shot off onto the shoulder, and began speeding towards camp through the grass. The community feared for the women and childraen and began taking action. Water protectors began setting up a blockade at the bridge ahead, as 2 water protectors used their vehicles to crash into the securities truck, causing him to spin out on the riverbank. 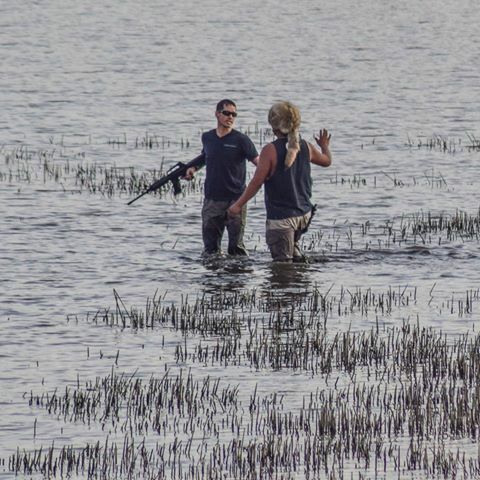 The security then exited his vehicle, cocked his AR-15, and began back stepping from protectors into the nearby river. 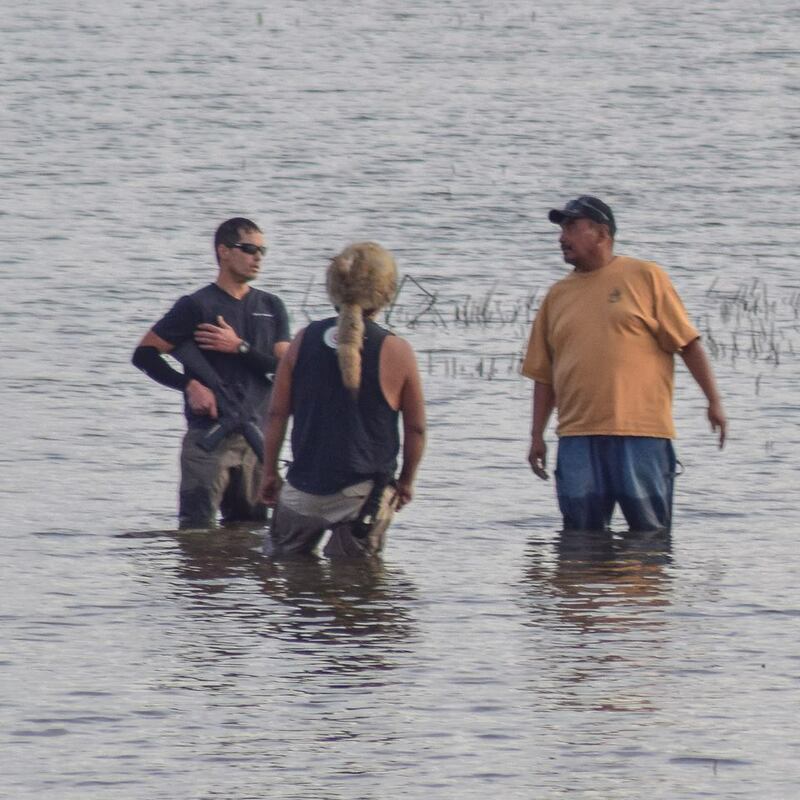 A near half our stand off took place where water protectors pleaded and tried to defuse the situation of the man coming directly at their families. Eventually, BIA came to the scene, disarmed the man, and his was placed under arrest. America, this is what is happening here. DAPL will do anything possible, include the threat of death and violence to get this pipeline through. DO NOT LET MAINSTREAM MEDIA LIE TO YOU. 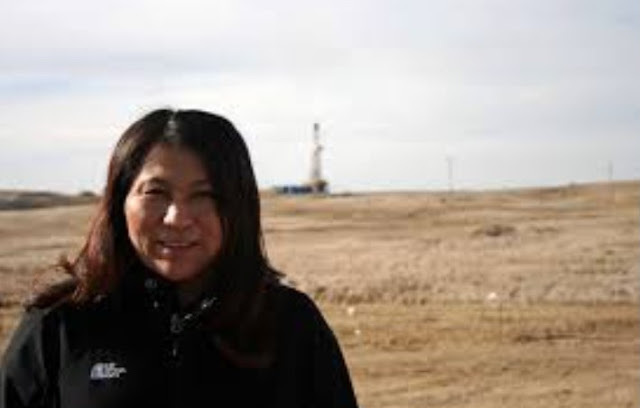 Protectors are facing the threat of death simply for protecting water and preserving history. 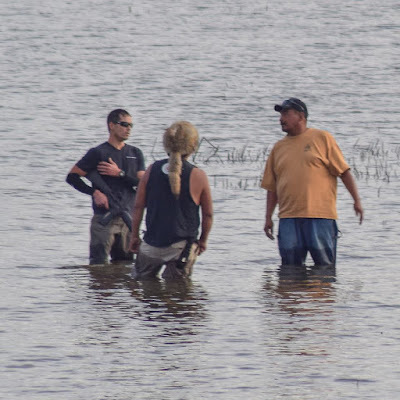 Morton County Sheriff's Department retracted their statement of the DAPL security rushing towards Standing Rock camp with the AR-15 "being treated for a gunshot wound to his hand" after photo evidence proved they were in fact a BUNCH OF LIARS. The man is now in FBI custody after being turned over by BIA. Really? How did money become more valuable than human lives, than the planet we share, and our grandchildren's and their grandchildren's future. Folks need to wake up!!! When the military mindset gets into the heads of young men, their humanity disappears. He even describes himself on his FB page as a "Former Door Kicker at United States Army". It's so sad for all those who have been his victims on foreign shores ... AND so sad for he himself as a product of this nation's unspeakable hubris and aggression. No one benefits with this type of national disgrace. No one. ....and he works at a bar & grill? As bouncer?? That is one messed up young man!! If this is the type of trigger happy person that they are hiring for security, then I'm not surprised at the abuse of power that we have observed on the site.